This bot-guy is named after a friend of Dan’s that loves old stereos. I did some screen capture video while working on this one and hope to upload a process movie later this month on this. 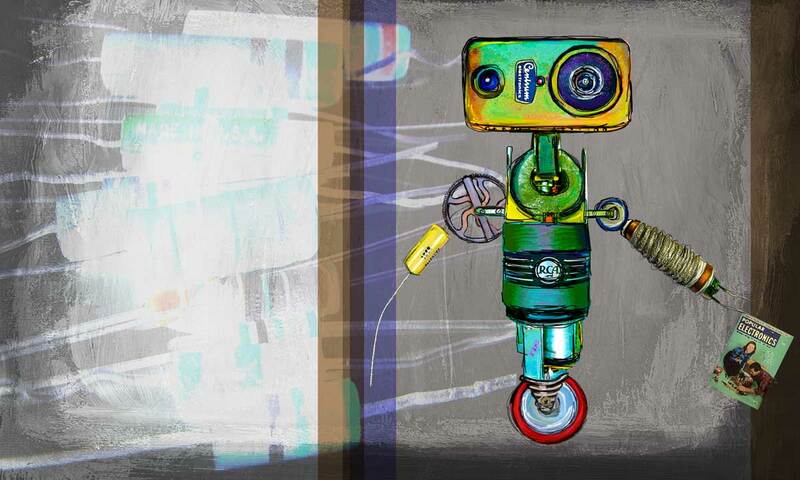 These recent robots have started out from creative commons images of vintage machines, and parts.